Yes, usually in A4 or 0.610m x 3m etc. 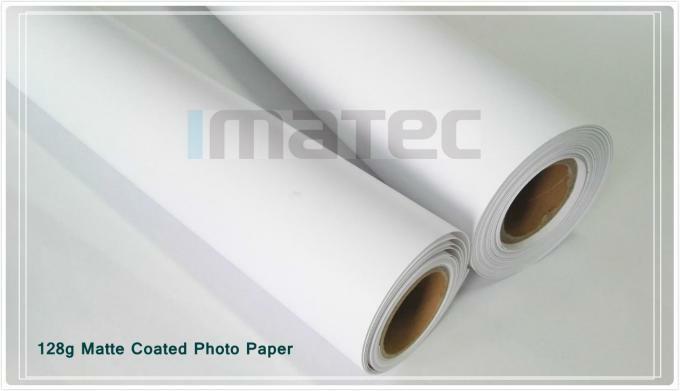 IMATEC M-128 matte photo paper is an economical option for producing high quality prints. 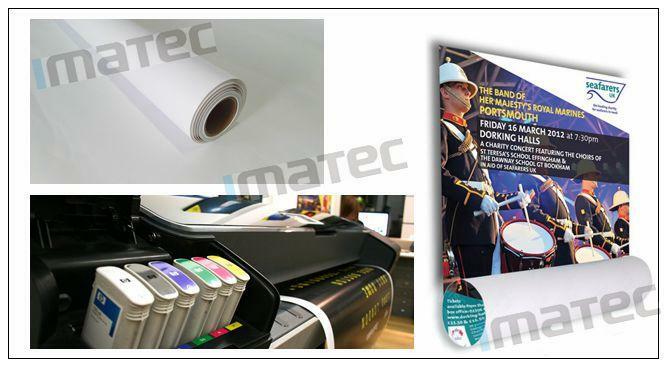 It's ideal for creating signage and posters that will be swapped or replaced often. Supporting pigment and dye ink, it owns waterproof, anti-fading, anti-curling etc. features. 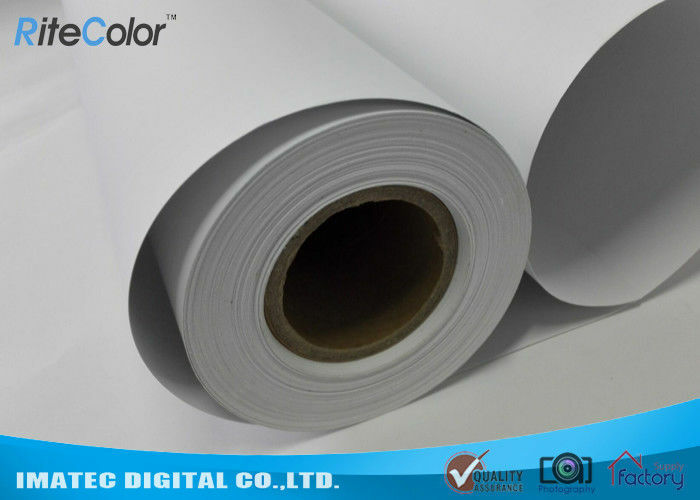 We supply this photo paper width in rolls from 24"(0.610m) to 44"(1.118m) and length in rolls 30m etc.. Certainly, we supply in commom sheets, like A4, A3, 4R etc.. Sheets: A4, A3, A6, 4R etc. Rolls: 24", 36", 42", 44", 50", 60" x 30m etc. Printers For most waterbased ink inkjet printers, like Canon, Epson, HP etc.. Sample Yes, in A4 or 24"(0.610m)x3m etc. 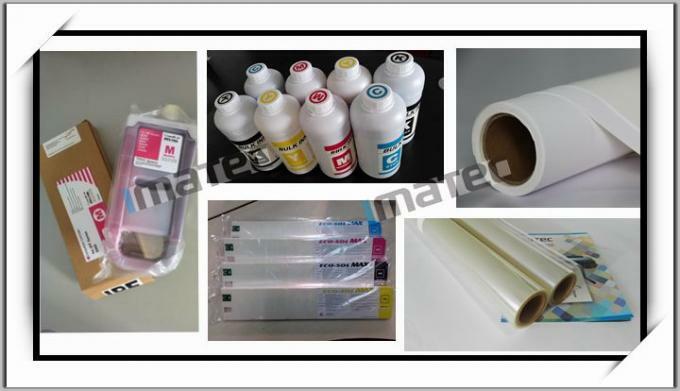 Except inkjet photo paper, IMATEC also provides inkjet canvas, inkjet screen printing positive film, pp paper, PET backlit film, PVC vinyl, flexy banner, as well as refill inks and ink cartridges for inkjet and large format printers. Q: Do you have provide samples to test in advance? A: Yes, we provide you samples both in sheet A4 and roll size 24"(0.610m) x 3m free of charge to test with freight collection. Q: How about the goods package? Is it in customized OEM packing? A: Usually in neutral packing without supplier's information. One roll per box, pallet packing etc..
Also, OEM packing is available. You just need inform us your logo & packing information in details. We will do all for you. A: Yes, if the quality problem caused by us, please contact with our sales directly, and we will take the cost, and replace you new one. If the product problem is caused by customers, then customers will take the costs for new one. We don't accept any unreasonable return back.